The Ultratec Uniphone 1140 features 10 speed-dial numbers to help you make fast, easy connections. The Ultratec Uniphone 1140 combines voice carry over (VCO), hearing carry over (HCO) and TTY capabilities in one powerful unit. 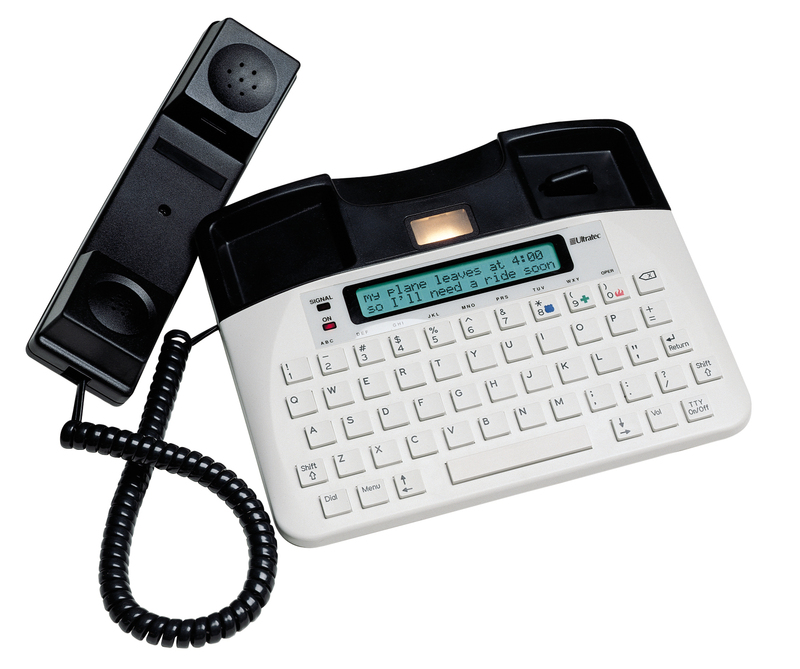 It plugs directly into your phone line for a clear connection, and features a bright, two-line display with 24 characters per line. The unit automatically identifies you as a TTY user, so that you can be quickly and easily connected to emergency services via three one-touch emergency keys. Pre-program a message into the auto-answer function and the unit will record messages when you are away from the phone.